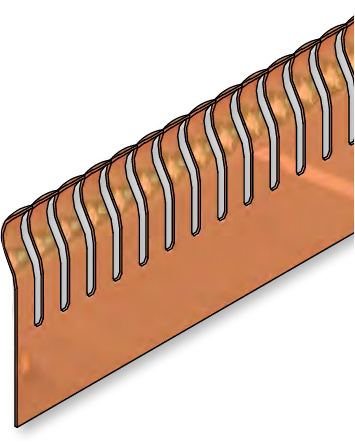 Contact gaskets are primarily used for grounding and shielding in high frequency applications. 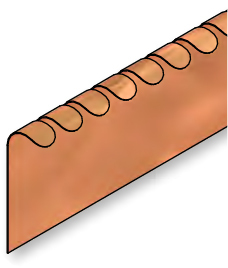 These gaskets provide engineers and designers with flexibility to solve their shielding and grounding issues. 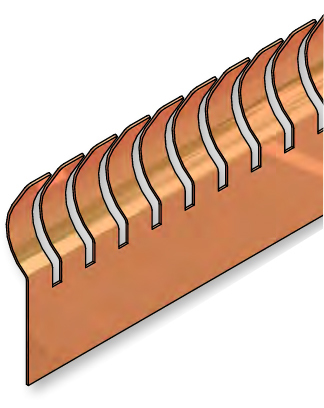 They are available in a variety of different lengths, widths and profiles. 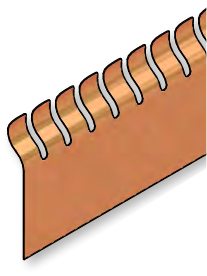 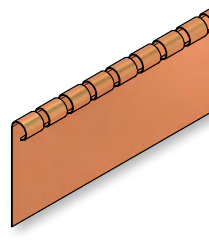 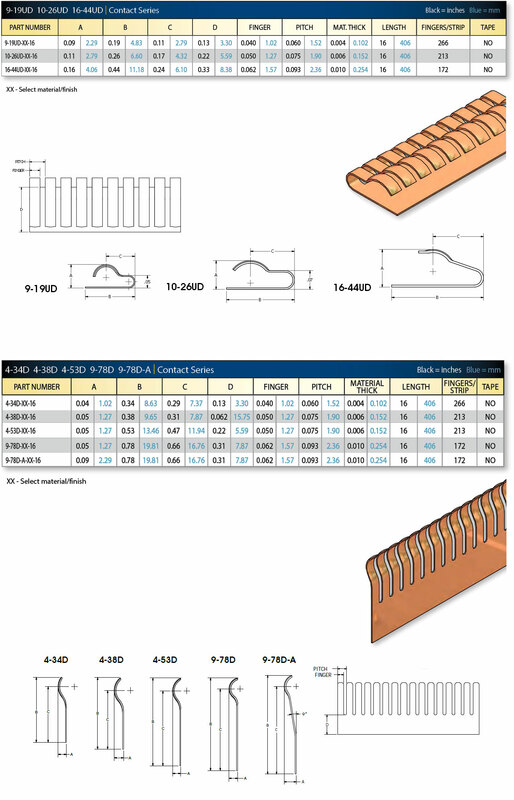 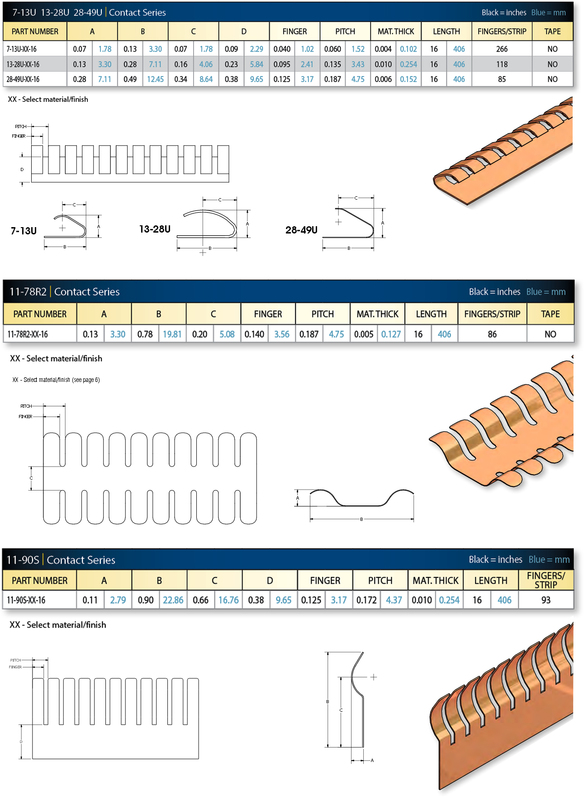 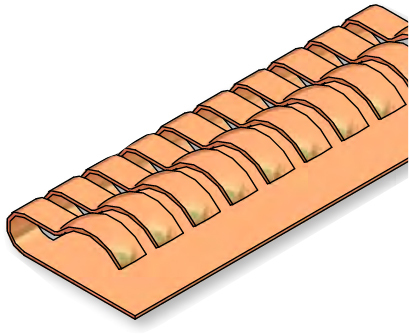 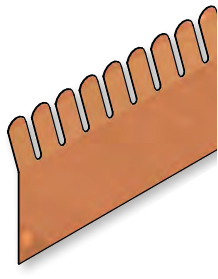 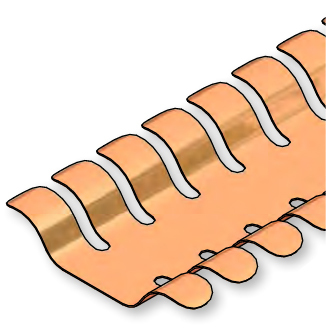 Standard factory length for Contact Series strips is 16". 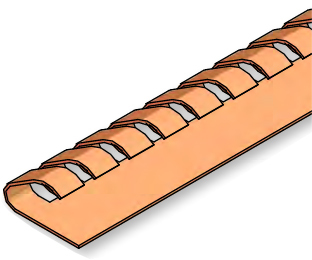 Individual contacts available in tape & reel packaging. Adhesive tape is optional - please consult factory.